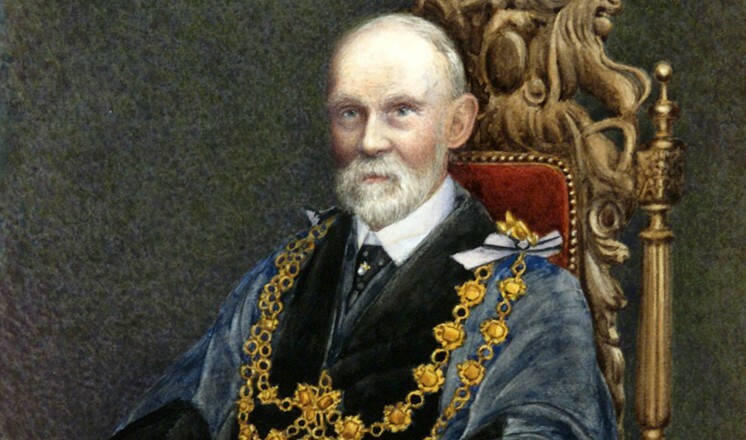 James Ward Usher was born in Lincoln on the 1st January 1845. He was the eldest son of James Usher who opened a jewellers and watchmakers business in Lincoln High Street in 1837. James Ward Usher joined his father in 1860 after leaving school and the business was renamed ‘Usher and Son’. James Ward Usher took over the business in 1874. He had a passion for collecting and built up a collection of ceramics, clocks and watches, coins, silver, enamels and miniatures. Apart from being an avid collector James Ward Usher was also an astute businessman. The business and his collection grew as he constantly added to it. He was the main supplier of trophies in the area and for a period of time he obtained the sole rights to use the Lincoln Imp, a figure from Lincoln Cathedral, and sell Lincoln Imp jewellery. 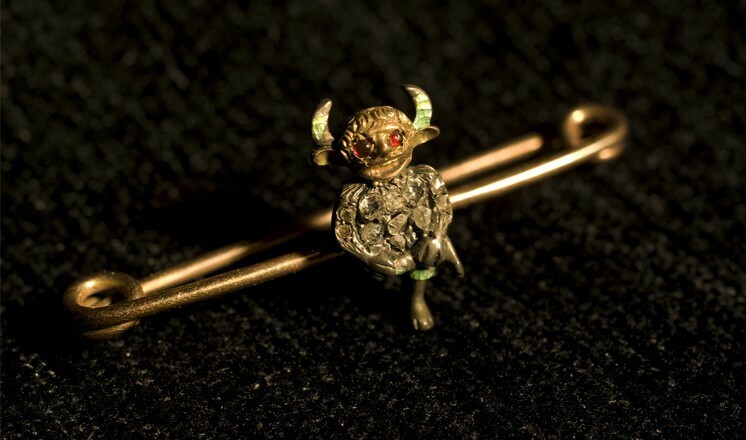 He used the imp figure on pins, brooches, spoons and cuff-links. Some of the jewellery, such as the Lincoln Imp brooch, was set with precious stones and can be seen on display in the Usher Gallery. The Lincoln Imp jewellery not only brought him success with regard to his business but fame too. For example letters would be addressed ‘To the silversmith who makes and sells the Lincoln Imp’. Many would reach him with references to the imp and one letter even reached his shop with just the word Lincoln and a drawing of the Lincoln Imp on the envelope. James Ward Usher never married and devoted his life to collecting, travelling far in search of particular items to enhance his collection. He never sought public honours but was offered the position of Sheriff of Lincoln in 1916. In 1921 he died at the age of 76, and as was his wish he bequeathed to the City his collection of watches, miniatures, porcelain and silver. He also left a considerable amount of money for a gallery to be built in order to house his collection. ‘It has long been my desire and ambition to bequeath a considerable proportion of my life’s work in art to Lincoln, and I hope that it might form the nucleus of an art gallery and museum worthy of the city’. Five years later the Usher Gallery was completed, designed by the architect Sir Reginald Blomfield R.A. The Usher Gallery, on Lindum Hill, was officially opened on the 25th May 1927 with a solid gold key by the Prince of Wales.